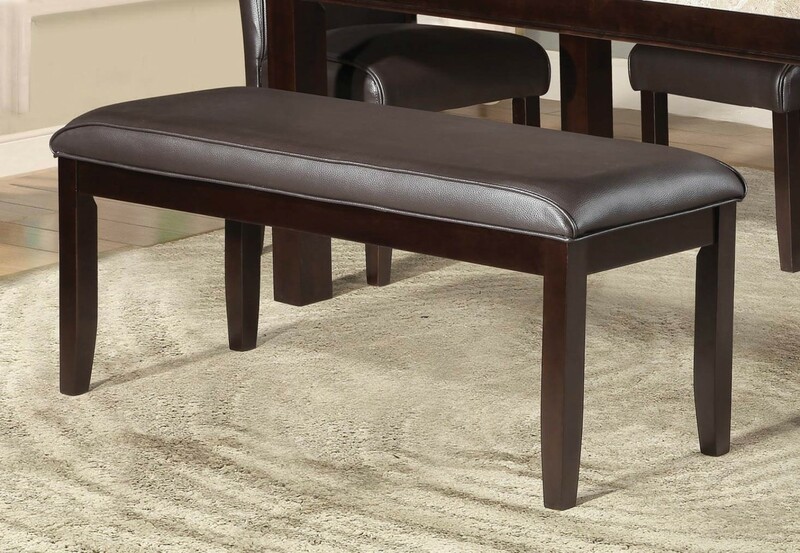 Offered for your casual dining room is the Festus Dining Collection by Homelegance. 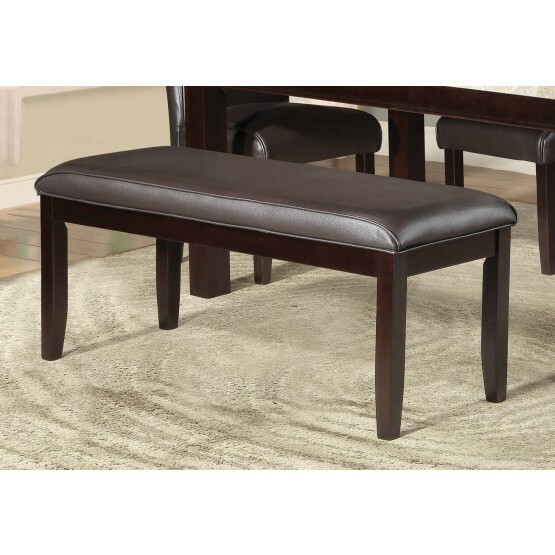 The coordinating bench features dark brown bi-cast vinyl padded seat, presenting a wrapped fold as the main focal accent. W49" x D18" x H20"